This edited volume examines the continued viability of international human rights law in the context of growing transnational law enforcement. With states increasingly making use of global governance modes, core exercises of public authority such as migration control, surveillance, detention and policing, are increasingly conducted extraterritorially, outsourced to foreign governments or delegated to non-state actors. New forms of cooperation raise difficult questions about divided, shared and joint responsibility under international human rights law. At the same time, some governments engage in transnational law enforcement exactly to avoid such responsibilities, creatively seeking to navigate the complex, overlapping and sometimes unclear bodies of international law. 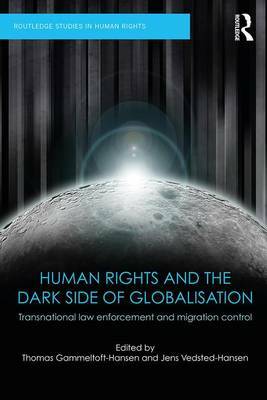 As such, this volume argues that this area represents a particular dark side of globalisation, requiring both scholars and practitioners to revisit basic assumptions and legal strategies. The volume will be of great interest to students, scholars and practitioners of international relations, human rights and public international law.